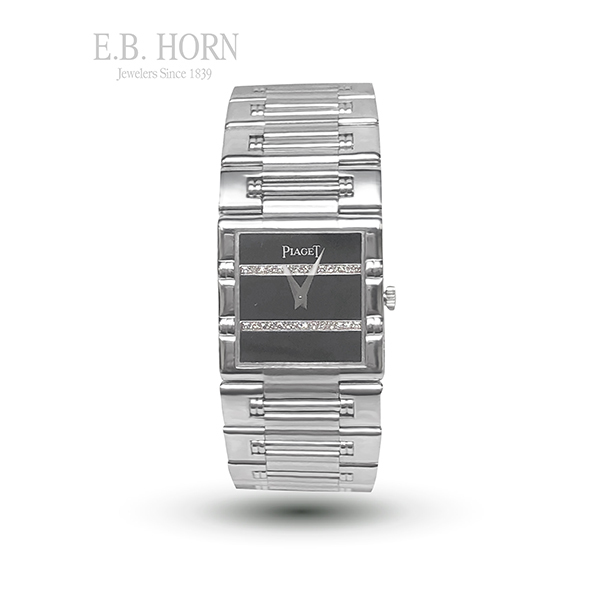 Vintage-inspired 18kt white gold Piaget square dancer watch. Reference number: 80317K81. Serial number: 502829.